Sam is a founding partner and current Director of Compass Associates which was established in 2010. They have grown to become the largest UK provider of permanent staff to both the private and third sector. To separate its service offering, its sister company Compass Executives was formed in 2011 to focus solely on senior executive and non executive appointments within the independent healthcare industry. Sam heads this up with the assistance of his experienced team and has a comprehensive understanding of today’s sector. Clients range from large corporate healthcare providers to owner managed enterprises. 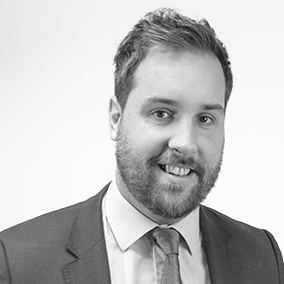 Sam holds a Law and Politics degree BA (Hons), LLB from the University of Kent as well as additional qualifications in the practice of recruitment. In his spare time Sam enjoys all sports, travelling and has an active interest in current political and economic events. Luke re-joined Compass Holding Group in April 2015 and brings a wealth of experience to the executive offering with extensive knowledge in the health, social care, education and technology sectors. With a focus on C-level & Director appointments Luke partners with the PE community, large corporates, NFP’s and advisory service practices. Previously Luke worked for an international technology search firm where he partnered blue chips such as Deloitte, PwC, IBM and McKinsey delivering search solutions to expand their reach across EMEA. 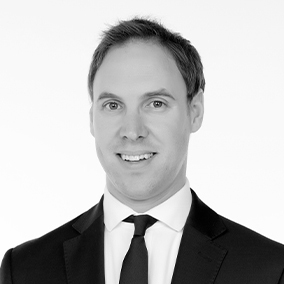 Luke specialised in placing senior partner and director level hires. 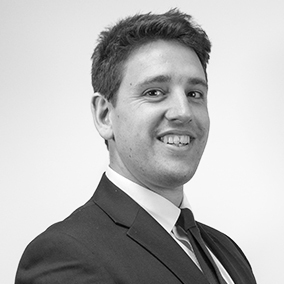 Luke graduated from the University of Portsmouth with a BSc (Hons) in Quantity Surveying and outside of work enjoys travelling, playing rugby (15’s / 7’s), is a fan of most sports and enjoys skiing in the winter. For Ben, Executive Search runs in the blood. His father owned a successful practice and Ben has utilised this knowledge to build a similar career path. Ben has a track record successfully partnering leading health and social care brands on business critical appointments developing a reputation for the service quality he provides both clients and candidates. He has delivered board level assignments across private acute hospitals, learning disability, mental health, elderly, children’s services and veterinary. Ben has partnered multinational blue chip clients as well as a number of health and social care providers in the UK independent sector. Ben focuses on CXO and senior management assignments with particular focus on operations, commercial and clinical mandates. Ben graduated with a First Class Honours degree in Business from Nottingham Trent University and outside work, life revolves around sport (wife permitting!). Golf, squash and football take centre stage and with a slight addiction to Sunderland AFC, Ben is well versed in life’s ups and downs! Abigail’s career in executive search spans more than 15 years, and has joined Compass Executives to grow the Not For Profit Sector Practice. With a genuine passion for the Not For Profit sector, Abigail has extensive experience of search across the leadership spectrum, helping organisations build executive teams. She is particularly interested in the leadership challenges facing the industry, and is an advocate of inclusivity and diversity within the workforce. As a working parent, Abigail is a vocal proponent of flexible working practices, and is passionate about elderly and dementia care based on lived experience. 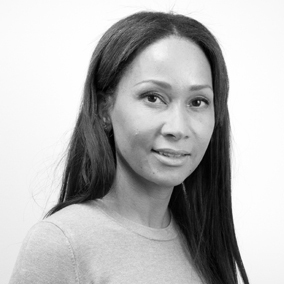 In previous search roles, Abigail has over a decade building relationships across a broad range of clients, and has led and delivered CEO, executive-level, country director and international search across both the UK and internationally, including work in the UK Not-For-Profit sector. Abigail graduated from the University of Southampton with a LLB (Hons) Law Qualification, and holds CIPD Level 5 HR certificate. In her spare time, she spends as much time at book clubs, exhibitions and the tennis court as her three children permit. 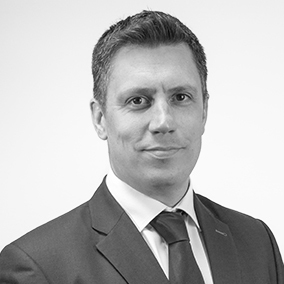 Kieran has a successful track record of delivering cross functional searches for a broad range of clients from FTSE 100’s to high growth Private Equity backed SME’s, with a core focus on placing senior finance executives across the UK. Prior to joining Compass Executives, Kieran spent four years at a boutique finance executive recruitment organisation, based in Central London where he delivered a variety of CFO, Finance Director and Financial Controller mandates across a variety of industries. Kieran has a 2:1 in English Literature and History from De Montfort University in Leicester. Kieran’s interest include reading, WW2 History and any form of aircraft from that period, rugby, swimming and supporting Ipswich Town FC. 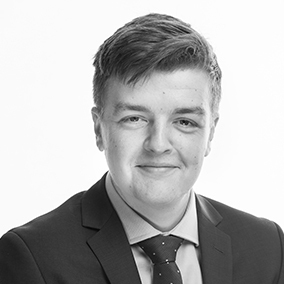 Having graduated from the University of Manchester with a First Class Honours BEng in Aerospace Engineering in July 2018, Joe brings a strong analytical mindset to the business, along with excellent research skills critical to the success of the role. During his time at University, Joe worked on a number of interesting projects which included jumping spiders, and theoretical satellite designs which required huge amounts of data analysis, project based work, and in-depth research activities, making a career as a Researcher in Executive Search the natural career step. Outside of Compass Executives, Joe has a keen interest in outdoor sports including surfing, windsurfing and hiking. As a former member of the Great British Rowing “Start” programme, he has trained to Olympic standard and has competed in National Championships. Andra joins Compass Executives having recently completed her MSc in Security Management and Intelligence, graduating with Distinction following an undergraduate degree in Criminology and Criminal Justice. Andra works alongside Luke, Abi and Kieran covering a wide range of complex assignments at any one point in time. With a keen focus on Cybersecurity and Cybercrime Andra volunteered at the University of Portsmouth as a research assistant within the Cybercrime Awareness Clinic, providing support at engagement events and focus groups, as well as presenting complex data in accessible formats. Data is a passion of Andra’s, having spent much of her research tenure engaging in qualitative research, conducting online focus groups, thus making the transition towards a career within research for Compass Executives a natural choice. In her spare time, Andra likes to live an active lifestyle as much as her schedule allows. This includes outdoor activities such as cycling in the countryside or going for long walks. Andra is also a food fanatic, and enjoys eating out and trying different cuisines. Andra likes to travel as often as possible and spend time with her loved ones, keep up-to-date with current news and read on contemporary security issues. Rebecca has over 10 years’ recruitment experience, specifically dedicated to candidate management and assessment. 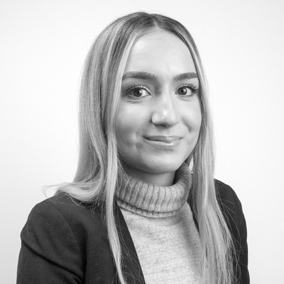 Offering a wealth of knowledge and insight into the Healthcare market, Rebecca is an advocate for providing candidates with not only an exceptional and professional service but a friendly approach to career change and progression. Prior to joining Compass Executives, Rebecca spent 6 years’ recruiting into the NHS and Public Sector organisations, providing both Frontline Staff and Senior Management professionals, across a number of specialisms including, Clinical Services and Governance, Estates and Facilities, Strategy and Change, Human Resources and Finance. As Operations and Governance Manager for Compass Executives, Rebecca is primarily responsible for forging and maintaining professional relationships with senior management teams and executives, along with being actively involved with research, market mapping and instrumental to the growth and success of the business. David is responsible for the design, implementation and review of all internal and external communications, advertising, events coordination, PR and marketing activities at Compass Executives. This includes; strategy and analytics, content creation, digital projects, cross-media campaigns, video and relationship marketing campaigns, as well as ownership of the social media accounts. Given the nature of executive search, this involves both B2B and niche B2C audiences. David graduated from the University of Reading with a joint honours degree in French and International Relations, and it is his passion for languages and communication which has led him into a career in marketing. As well as responsibility for the executive brand, he heads-up the marketing and communications requirements of sister brand, Compass Corporate Services. Outside of work, David can be found completing his latest CIM certification, following his favourite cricket and rugby teams, listening to the latest digitally re-mastered Led Zeppelin album, or spending time with his growing family. Pete has over ten years of experience working in executive search. After graduating with a BA Joint Honours in English and Philosophy from the University of Nottingham, he spent five years working at Skillcapital, an executive search firm focused on the European private equity space. During his time with Skillcapital, he worked with a range of UK and international clients and placed Chief Executives and Chairmen into private equity-backed businesses across the retail, leisure, FMCG and eCommerce sectors. In 2011, Pete joined The Up Group, a market leading search firm working across the digital and technology sectors with many clients looking to invest in the “e-health” and “m-health” markets. Pete has worked with a range of clients from start-up through to corporate and tends to focus on CxO / general management roles, whilst also building out a strong track record across product and technology. He also retains an active interest in the private equity / venture capital space and works with a number of firms across the European market. Pete’s primary input into Compass Executives centres around “new board” assignments, start up buy and build models and emerging markets. Pete also has an active role in company strategy and direction. Marcus brings over 30 years of experience to Compass Executives with particular expertise in finance, large business enterprise and growth aspiration organisations. A qualified accountant, Marcus is a previous MD of a Pan-European business and latterly the CFO and then President of Pall Corporation, a $2.5Billion Fortune 500 US public company spanning 100 locations and 12,000 people. In recent times Marcus has utilised his strategic experience and financial acumen to advise small and medium enterprises who were failing, and has led the successful turnaround of many operations that were destined to collapse. Having worked with and nurtured many personnel Marcus is perfectly placed to identify people’s strengths and weaknesses and guide clients who are looking to make crucial board appointments. Marcus is a keen sportsman with particular interests in golf, rugby and tennis. In his spare time Marcus likes to travel and embark on sailing excursions.